While Paris has pedestrian-packed streets and a well-developed Metro system, most Parisians will tell you that they are slow to warm to the idea of environmental conservation. But traveling to this beautiful city doesn’t have to incur a negative impact on our planet. As I discovered, ecologically-minded New York travelers no longer have to compromise integrity to take a romantic vacation to the City of Lights. From your plane ride to delicious meals and a great hotel, here’s how to make the most of a green tour of Paris. Once in Paris, like New York, all you really need is a pair of walking shoes and a good map. The beauty of this very walkable city is in its winding streets, charming architecture, and beautiful gardens, something you miss if you are always taking public transportation. To get prepared to pedal, first read the official site and the blog entry that covers everything, then stop by any magazine stand for a map of pick up and drop off locations. 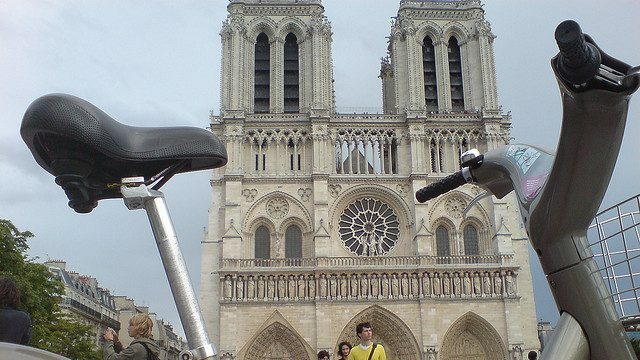 While it’s nice to give the Velib a try, you might also consider exploring the city by taking a bike tour with the Fat Tire Bike Company. They have guided four-hour day and night tours (the night tour includes wine and a boat ride along the Seine) that cost 28 euro each. 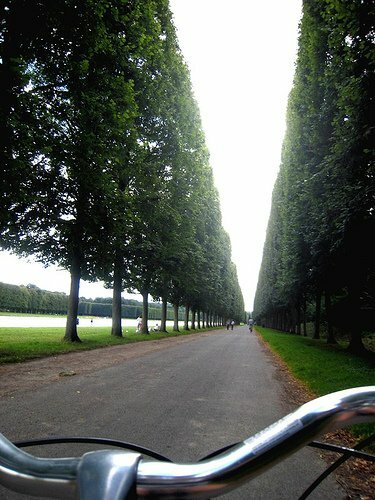 The company also does a day visit to Versailles that includes a trip to the village market, picnic inside the grounds, a tour of the chateau, and a ride around the famous gardens. Supplement your walking and biking with the Paris Metro. There are information clerks at almost every station to help with directions and ticket purchases, but to make your travels that much easier, check out Michael Brein’s Paris By Metro map listing the 50 most popular tourist destinations, their closest metro station and the most direct walking route once you’re above ground. Skip the gas-guzzling hop-on/hop-off tour buses and opt instead for a guided walk from the super-knowledgeable and very hip Julien Desire Feugueur. To make his tours come alive, he brings excerpts from classic French writers, maps, old black and white photos, and an inexhaustible love of Paris. Pick from his existing tours for 12 euro each, or for 50 euro, he will create a private tour to your liking. Paris’s parks and gardens are elegant manicured works of art but New Yorkers will enjoy an excursion to Parc de Buttes Chaumont. Created on top of what was once alternately an execution site, a quarry, and a horse graveyard, this largest garden in Paris is now a beautiful hilly landscape reminiscent of Central Park. Plus the socially-conscious restaurant located inside it’s walls, Rosa Bonheur (named after an artist and the first woman in Paris granted a license to wear pants) has helped to make the park a trendy destination in recent years. Thankfully Paris has several great restaurants dedicated to organic foods and sustainable-farming practices. On the top of every foodie’s list of the best vegetarian/vegan 100% organic food is Le Potager du Marais and I agree, the food is exceptional. While the space is lush with plants, it’s small and on the casual side. 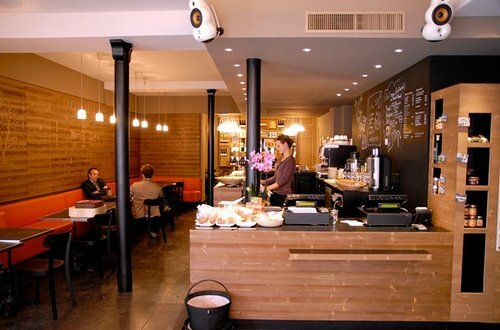 For delicious people watching and an organic nosh near the Panthéon is Les 5 Saveurs d’Ananda. Next up is Le Grenier de Notre Dame. 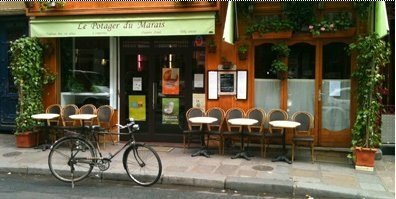 Opened in 1978, it’s the oldest vegetarian/macrobiotic restaurant in Paris and with 80% organic ingredients, good for the earth, too. Plus, the typically Parisian bi-level dining room is so cozy; it’s the perfect place to linger over dessert or a glass of wine. (Main courses at both restaurants, approx. 18 euro). For a quick bite to eat or meal on the go, check out the recently opened Boco. With six up-and-coming chefs reinterpreting Parisian fare that is 100% organic; the menus and business cards printed on recycled paper, and the glass to-go containers recyclable at the restaurant (they charge one euro deposit on each takeaway container), the restaurant really walks the walk. (One lunch or dinner portion is approx. eight euro). And what’s a discussion of Paris’s best green restaurants without a mention of three-star Michelin rated Arpege. Chef Alain Passard has three sustainable natural farms with animal-traction for plowing. While the meals revolve around the vegetables that arrive from the farms each morning, this is the premiere meat-friendly, farm-to-table French restaurant in Paris. 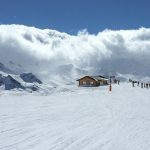 (Main courses hover around 100 euro and in typical French fashion, include several additional courses such as vegetable tarts, soup, and dessert tray). 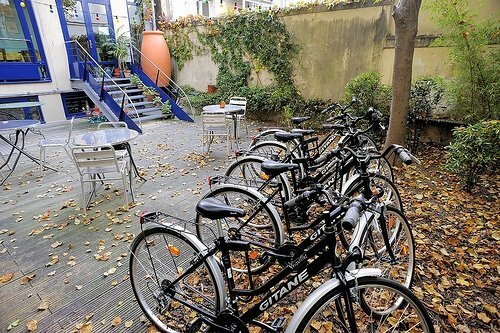 There are several hotels in Paris that are dedicated to clean environment practices. The newest member of this list is the brand new HiMatic; a high-concept hotel with 42 rooms in the trendy 11th arrondissement. Created with recycled materials and sustainable Tulipwood, each room is a colorful ultra-modern pod with soy-foam futon-like mattresses on the floor. They’ve automated many of the traditional hotel services but have on-site staff on hand (doubles start at 129 euro). Next up, the Solar Hotel, located in the less central but still hip district of Montparnasse. Through rigorous analysis and management, they are dedicated to saving energy and water, recycling guest’s refuse, and making free bikes and maps available for guests. With a concierge and Wi-Fi in the lobby, its rooms (all doubles) are clean, simple, safe and an utter bargain at 69 euro per night. Though if it’s a typical gracious Parisian experience you are after, the hands-down winner is the Hotel Gavarni. 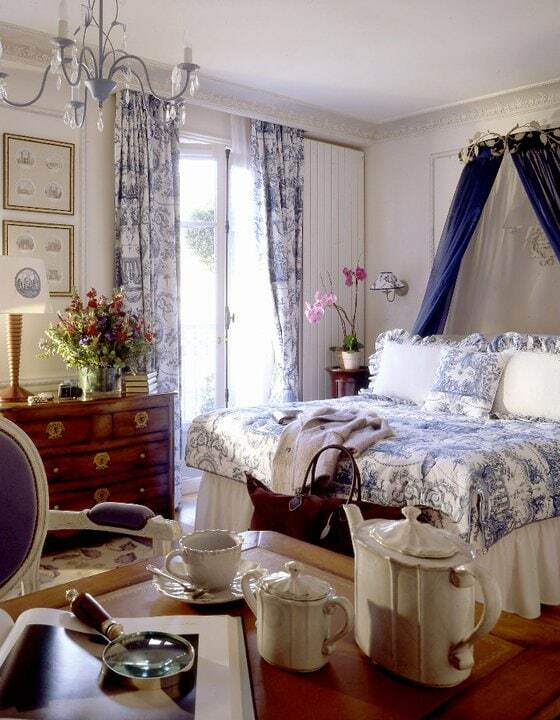 Situated in the classic 16th arrondissement, the beautifully decorated rooms and suites range from 110-240 euro for a double, depending upon the season. The 100% carbon neutral hotel implements several low-impact solutions (such as soap and shampoo dispensers in the bathroom and a staff whose public transportation costs are covered). 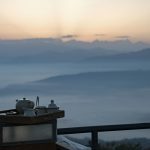 Gavarni has a wide range of amenities and organic breakfasts are available. Plus the hotel has a very informed website with regularly updated blog entries on all-things-green in Paris that’s a must-read for all ecologically-minded tourists. Stacey Wolf James is a psychic and astrologer with a commitment to sustainability and an addiction to travel. She is the author of five published books including Never Throw Rice at a Pisces, the first wedding planning guide for brides who like astrology. 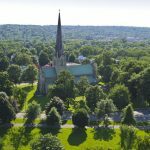 When she’s not soothing her globe-trotting soul, she’s on back country roads with her Harley-riding husband or strolling their two bulldogs around Frenchtown, New Jersey. Read more about her: staceywolf.com.